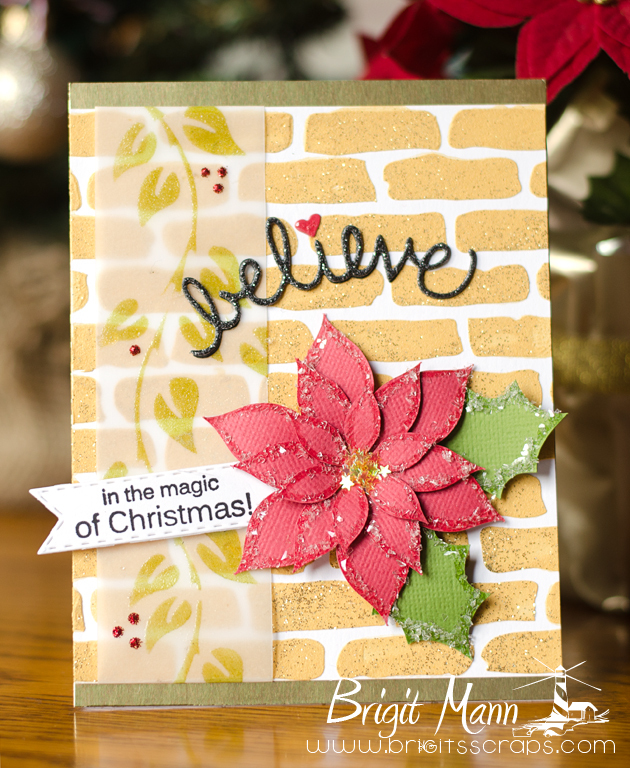 Brigit's Scraps "Where Scraps Become Treasures": Believe - Sandy Allnock's Go For The Gold Class! and couldn't resist playing along. If you haven't already check out the details here and join in the fun. 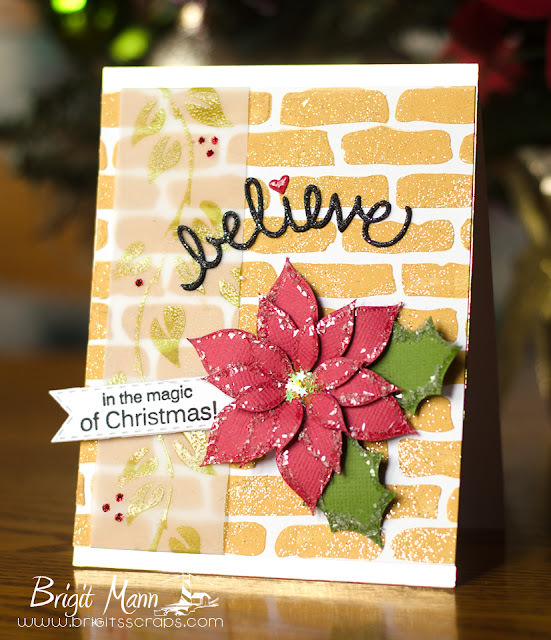 The idea for this card came from Day 1 of this free class. I used a brick stencil by Crafter's Workshop with some Ranger Texture Paste mixed with metallic gold paint and then sprinkled with some gold glitter. Definitely very sparkly card, I matted that piece onto gold folded cardstock. The poinsettia is from Lori Whitlock, I cut it out on my new Brother ScanNCut2, and tipped the edges with some diamond dust crystals. On the vellum I used the Ranger Dylusions Leaf Flourish Stencil, the believe die cut, sentiment and banner are all from My Creative Time. Wow, this is beautiful! The glitter and the paint in the texture paste are so pretty! Very Pretty!! You did a fabulous job!! Those golden bricks, WOW!!! Beautiful! Thanks for going for the GOLD! Brigit ~ GORGEOUS! Not sure I can say anything else about it but GORGEOUS!! Wow, so sparkly! I love it! Absolutely gorgeous card!